- FrancesCassandra: UK fashion, beauty and lifestyle blog. 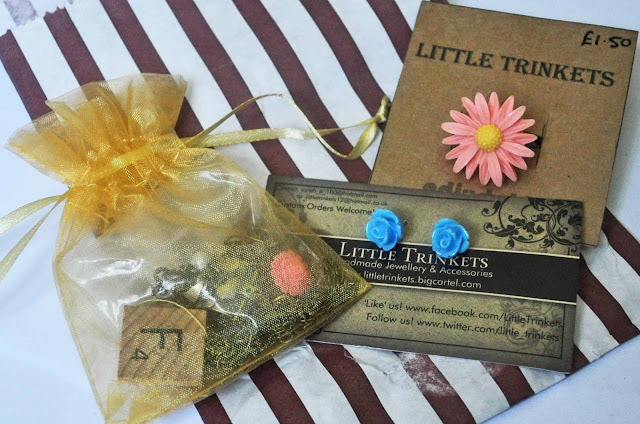 : Review: Little Trinkets Handmade Jewellery. Today, I have some more pretty pieces of jewellery to share with you, this time sent to me by the lovely Sarah who has her own handmade jewellery shop called Little Trinkets. She chose a few pieces for me to try out which left me feeling a little spoilt! The jewellery came presented in a cute old-fashioned-sweet-shop style paper bag, with each piece placed either on a card or in an organza bag to stop it all getting thrown about and tangled up in transit. I love the pieces that Sarah sent me, especially the Scrabble necklace- I already own a scrabble ring which is one of my favourite pieces of jewellery, so I was excited to get a necklace to match! The pendants are all attached to a 20" chain. Personally, I usually prefer necklaces like this to be on a longer chain, but I do think that this is a nice length, not too long and not too short, it falls right at the chest. The ring is adjustable, which is perfect for people like me who have skinny child fingers! I wasn't expecting Sarah to send me the "Pandora" necklace but I'm glad she did, it is so pretty! I love the detail on the little treasure chest and the fact that it opens makes it extra special. If you order this specific necklace, you will get a unique discount code to use on your next order from Little Trinkets... 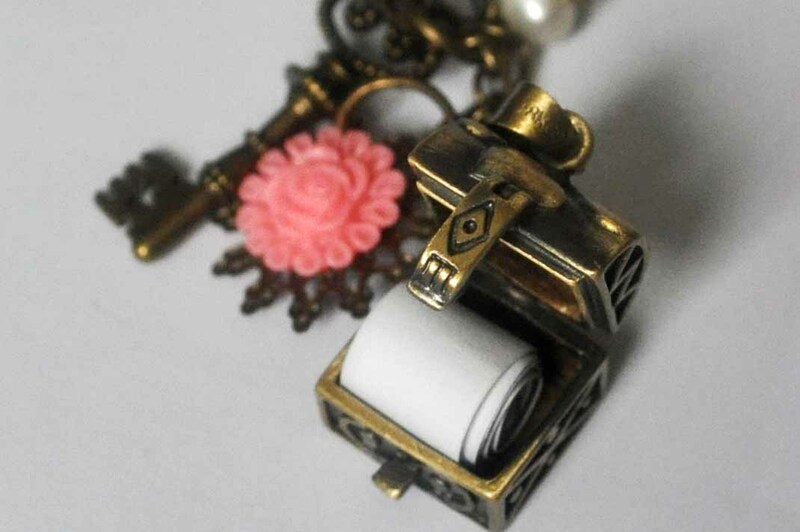 It comes rolled up on a little piece of paper inside the locket- how cute? The jewellery from Little Trinkets is very delicate but also well made, so I don't think you will have to worry too much about the pieces breaking- I have been wearing my scrabble necklace every day since I received it and I haven't had any problems. All the pieces are very affordable, costing between £1 and £9 and shipping is £2.00 within the UK. What do you think of Little Trinkets? Have you purchased anything from there? *DISCLOSURE: These items were sent to me for review purposes. My opinions are 100% honest and my own. wow i love the last necklace it is adorable! I actually put two pairs of these earings in my basket last night! Lovely post and beautiful jewellery. Oh wow, absolutely love the "Pandora" Necklace, very unique and original! oh wow I hadn't heard of this brand before but it looks gorgeous - I really love the scrabble necklace :) It's all so reasonably priced too! These are so cute Frances! I love them, so vintage and pretty. I have that peach ring in turqouise :) its so pretty. 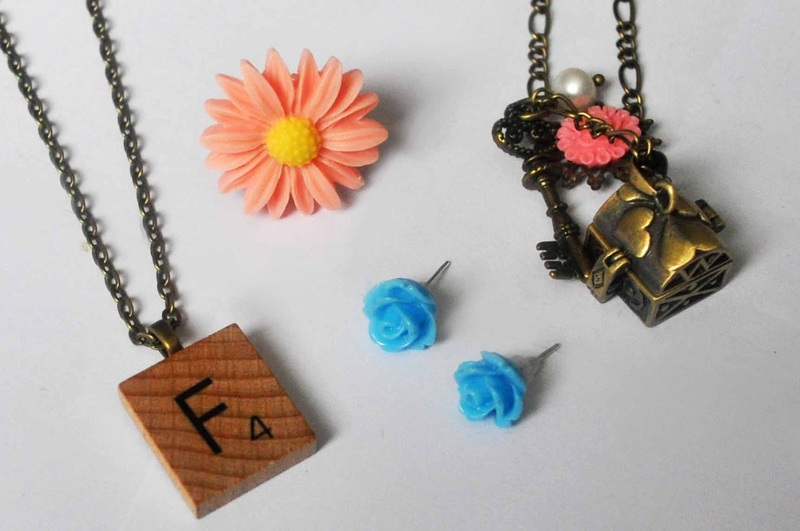 I love that scrabble necklace too, its so cute. She did spoil you with some lovely pieces here. I liked the tinkles very much but i think you can prepare some unique bracelets of kind too..what you say? Hi.. 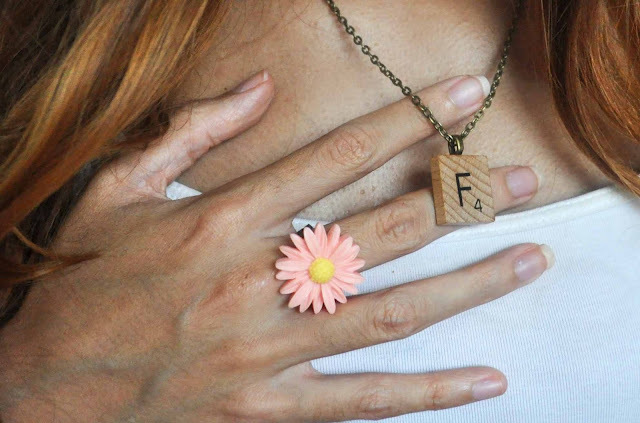 I have one word Scientific necklace and floral ring is really amazing. Very creative I will try this jewelry.